SALE PRICE - AMAZING SPECIFICATION 13" i5 MACBOOK PRO. BEST DEAL ONLINE. Refurbished Apple MacBook Pro 13.3 inch MD101B/A Intel Dual Core I5 2.50GHz 4GB 500GB with the latest Mac OS X 10.11 El Capitan operating system. 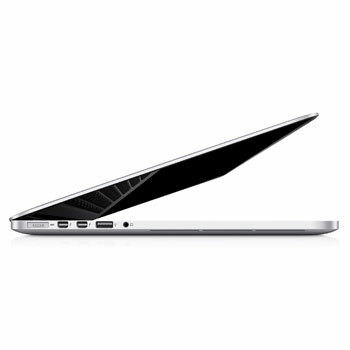 Offering a technological breakthrough, the Apple MacBook Pro Laptop 2012 is a powerful and futuristic notebook. Sleeker and smarter, the feature-packed Apple MacBook Pro Laptop 2012 is built to impress. Sporting a 13.3-inch screen, this Mac Pro delivers 1280x800 visuals on its LED-backlit display. Type in the dark on the backlit keyboard or browse using the multi-touch trackpad, this laptop makes work easy. The communication-driven applications by OS X Mavericks, an 802.11n Wi-Fi, and the 720p FaceTime HD camera of the Apple MacBook Pro Laptop 2012 ensure undisrupted connectivity, even while traveling. Grade A – Excellent Condition, perfect working order.